Southern Utah Attractions: Free Yoga! I love yoga! It's one of my favorite exercises. The Red Hills Desert Garden is a beautiful garden area by the Dixie rocks. On Tuesday they are offering free yoga! If you have kids, bring them! 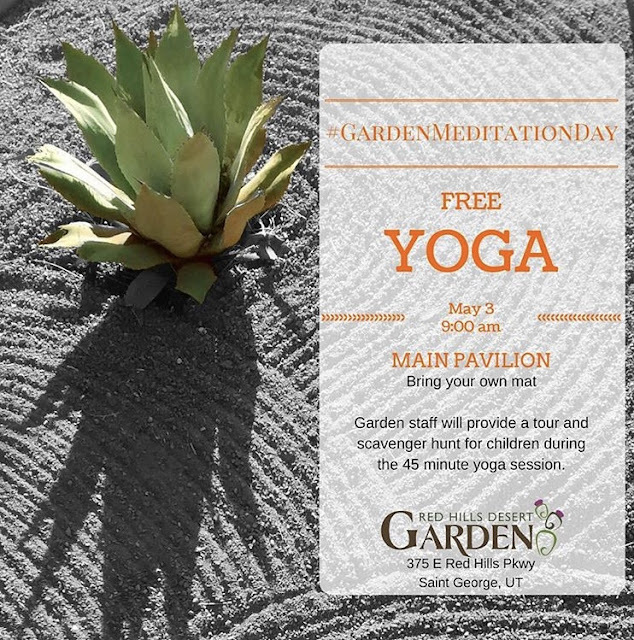 The garden staff will be doing a tour and scavenger hunt during the 45 minute yoga session with the children. This sounds like an amazing morning!